private home in Whistler, BC. door, and a full year to carve it. ​proper doors and a door frame. 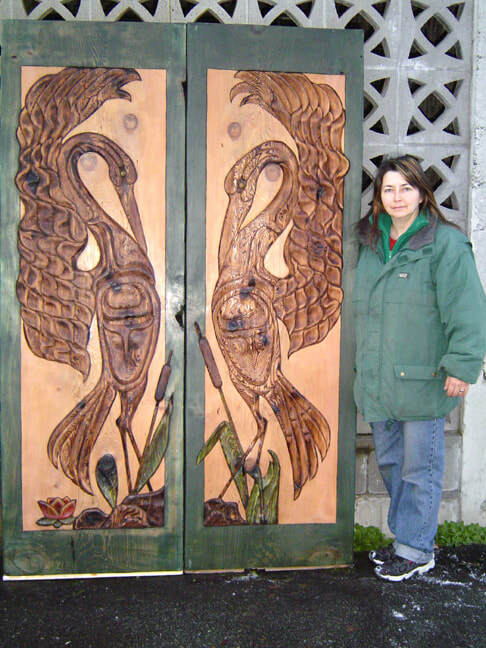 Our 'Art Neuvo" series of door panels began with a Pelican, and continued with Heron, Woodpecker, Jay, and Kingfisher. 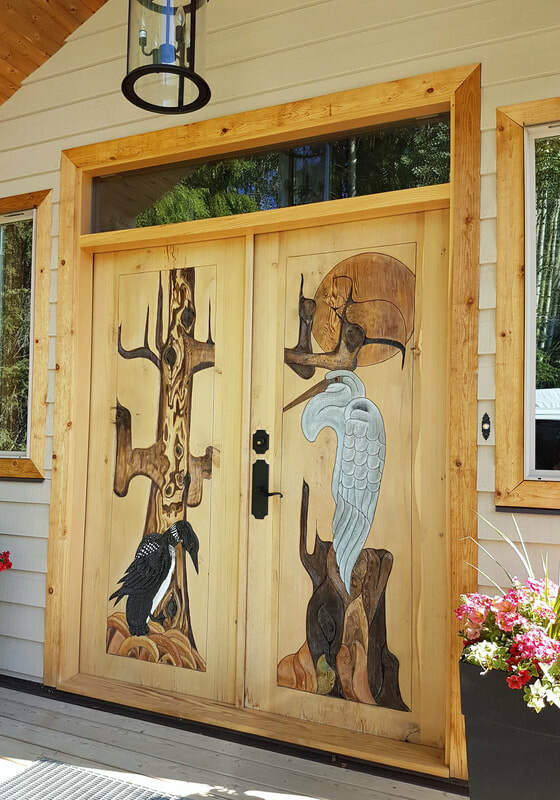 ​"Don Quiote" door panel was a gift for a friend. "Kitchen Cabinet Doors" were made on spec from 12" wide cedar planks. Each piece was 30" tall. 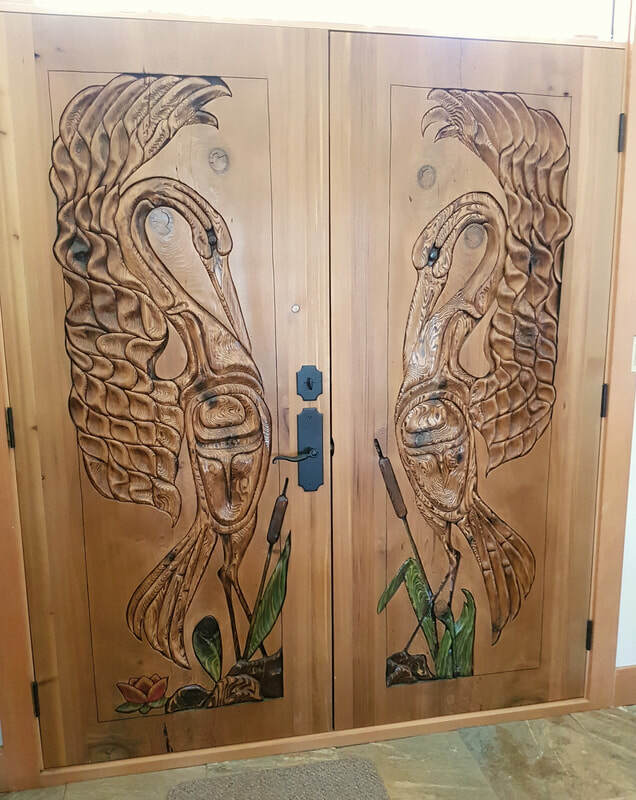 "Dancing Herons" were sold to friends while their house in Deka Lake was still being built. ​ They asked us to carve the inside as well, with a tree and moon motif.